Since its launch in August 2014, the East Sussex WW1 project has sought to record and highlight the impact of the First World War on the county and the experiences of those who lived here. This is our final story. The East Sussex WW1 website was launched at 11am on 4 August 2014, to coincide with the day in 1914 that Britain declared war on Germany. The original aim of the project was to firstly record and document the experiences of those in East Sussex during the war and also to help assist and facilitate ongoing projects in the county to mark the centenary. From this starting point the project would rapidly grow beyond all expectations. The project was largely run by the Project Officer Chris Kempshall, the Project Manager Lee Banner before his departure in October 2017, and the Policy Development Officer Indea Cadman-Rivers before she departed and Policy Officer Beth McGhee joined in November 2015. In the earliest weeks and months of the project an additional publication board met regularly, composed of members of The Keep archives, Sophie Unger of the Historical Environment Record and our sister project Recording Remembrance, along with Madeleine Whitty and Lesley Fairbairn from East Sussex County Council’s Communications and Graphic Design Teams. Before the website launched, our Project Manager began the process of liaising with museums and projects in the East Sussex area. During this period of time they visited museums in Newhaven, Eastbourne, Brighton and Seaford and also formed relationships with ongoing projects such as Brighton and Hove Black History, Gateways to the First World War, and the Sussex Archaeological Society. As the project grew year on year we built new relationships with more organisations and museums. Through this network we would be able to advertise ongoing events in East Sussex during the centenary and also source information and topics for new stories on our website. At launch, the website had over 20 stories split across several initial categories: ‘East Sussex Soldiers’, ‘East Sussex Front’, ‘East Sussex & Beyond’, ‘East Sussex & the Sea’, and ‘Did you know?’. In the following years, as the number of stories on the website grew new categories would be added such as: ‘East Sussex Medical’, ‘The Wider War’, ‘East Sussex Remembers’ and ‘Our Project’. The existing category ‘East Sussex & the Sea’ was expanded to become ‘East Sussex Air & Sea’. When it came to content on our project website, the aim was always that the majority of it should come from public submissions and these would be the articles given preference. In addition to public submissions, the Project Officer and others working on the project would also produce further articles and content on areas of the war in East Sussex that were yet to be featured and also on wider moments in the war that could provide context to ongoing activity. Alongside story submissions, the project also regularly received event listings through our submission system. These events were then added to the database of Culture24 and advertised across the county. What resulted from this policy was a continually growing number of stories and events year on year. By our 1st anniversary on 4 August 2015, our website had hosted over 130 stories and events. A further 35 stories and events were added to the website at the end of the project’s 2nd year. Our 3rd year saw another 41 stories and events displayed on the website and at the end of our 4th year on 4 August 2018, another 29 had been published. As our project now comes to an end, in total we have published 175 stories and 81 events on the website. Of these, 65% came from the general public. Of all the stories on our website the most viewed has been Food during the First World War, viewed 37,000 times. However, as our project evolved we soon decided that stories and events were not the only content we wished to offer. For each year of our project we aimed to introduce some new form of content that would be useful for the years of the centenary but that also might have a legacy beyond 2018. During the first year of our project we began to explore the possibility of utilising the microreels of newspapers held at The Keep archives and also within East Sussex Libraries. Our belief was that whilst our ongoing story articles were providing an important insight into wartime experience, we could also provide newspaper coverage for every week of the war. This undertaking proved to be much larger than we’d originally expected. 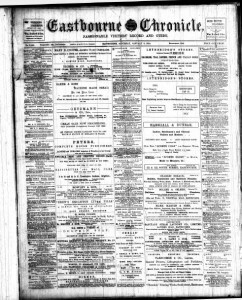 Having initially selected the Eastbourne Gazette, Eastbourne Chronicle, Hasting & St Leonards Observer and the Hastings & St Leonards Pictorial Advertiser as our four newspapers, we sent them away for digitisation and then, once that was completed, began assembling them into readable and searchable pdf copies. We also began digitisation of a 5th newspaper by ourselves; the Sussex Daily News. This latter newspaper would be published online at the end of our 2nd year. Together these newspapers meant that our users could follow the ongoing details of the war and its impact in East Sussex on an almost daily basis. This entire process was hugely ambitious for a project like ours; such attempts are normally reserved for organisations and institutions such as the British Library, the National Newspaper Archive, and the National Library of Wales. 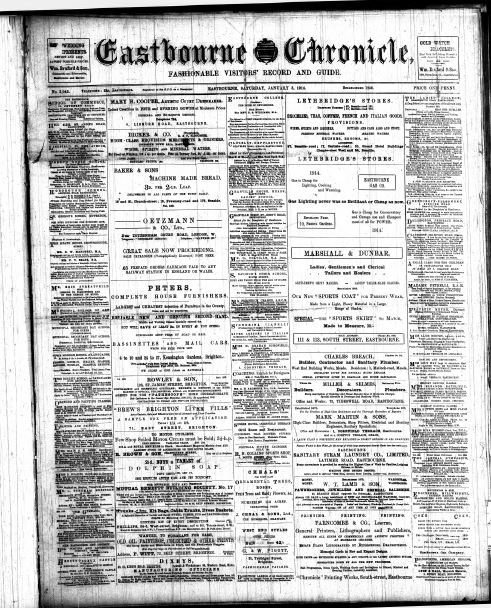 As a result we were the first project of our kind to offer such a large and varied collection of newspapers online. In our 2nd year we began converting existing stories on our website into educational resources that could be downloaded and used by both teachers and school students. One of the long-running desires of the project was to ensure that the work done in collecting information about East Sussex during the First World War could then serve an educational value. In consultation with several teachers and Isilda Almeida-Harvey, the Outreach and Learning Officer at The Keep, we produced an initial three categories of educational resource; Soldiers, Women, and Children. Each of these categories had three stories within them but they were then further divided in two, with material suitable for teachers and a version for students. After the initial success of these resources, in February 2017 we returned to our resources to create two further categories; Places and Empire. Like the existing categories these each featured three stories with versions for teachers and students. Our final large piece of new content was of a visual nature. Early on in the project we had digitised a collection of original First World War recruitment and propaganda posters. For our 3rd anniversary we collected these 42 posters into four different categories; ‘Soldiers, Service and Recruitment’, ‘Women’, ‘Economy’ and ‘Food’. All of them were made available for downloading. 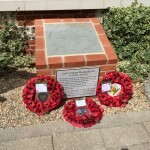 In August 2013, as part of the preparations for the centenary commemorations for the First World War, the then Department for Communities and Local Government announced a memorial paving stone design to commemorate recipients of the Victoria Cross during the First World War in their home towns. 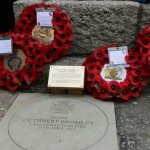 There were four eligible men who were born or lived in East Sussex that then received VC Paving Stones during the First World War centenary: Sidney Woodroffe, Cuthbert Bromley, Nelson Carter, and Claude Nunney. 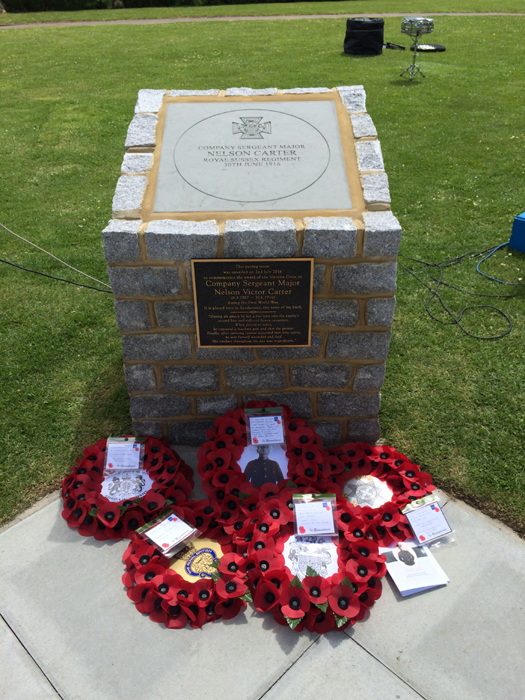 A major part of the East Sussex WW1 project has been coordinating and organising the installation and unveiling of these new war memorials with the relevant local councils. 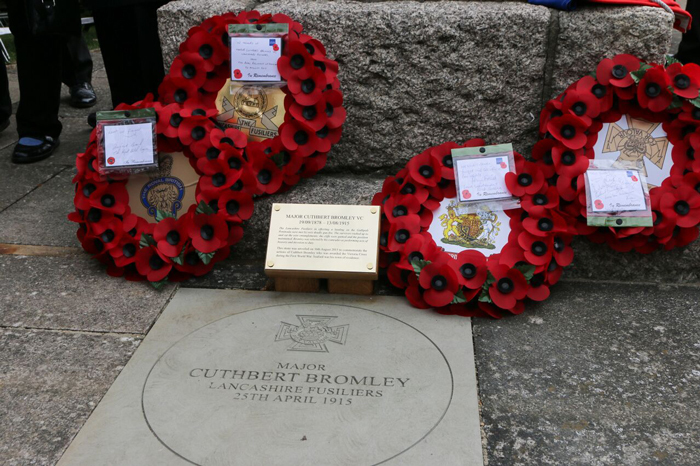 The creation of new war memorials is extremely rare. 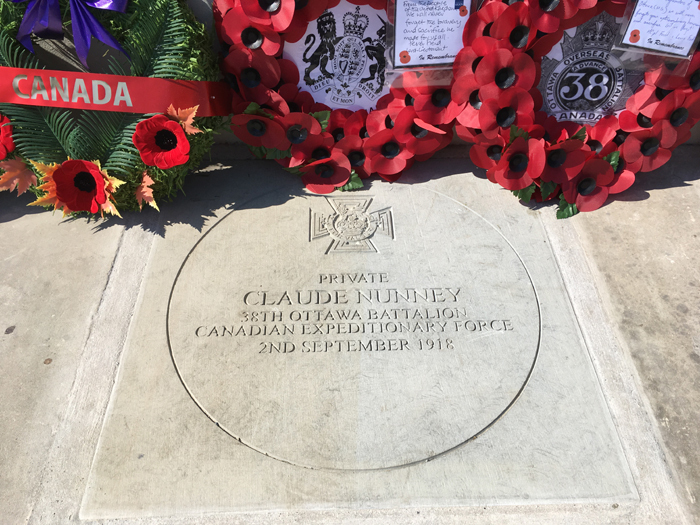 Additionally, these memorials in particular were not just a record of the actions of these soldiers during the war, but also a record of how the centenary itself was marked. The creation and installation of these memorials was important for the community today and will be important for them in the future as well, as permanent reminders of these men and the centenary. Since the day of our website’s launch, the reach of our project has been extraordinary. 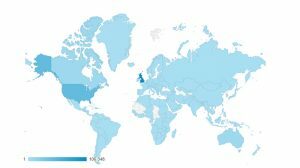 By our 2nd anniversary the website had been viewed over 100,000 times and the views consistently rose month on month and year on year. Shortly after our 3rd anniversary our total website views passed 200,000. Now, at the end of our project, the website has been viewed 375,000 times in total by 188,000 users. Over the duration of the project our website has been viewed on every continent. The busiest days over the centenary for our website were 30 June 2016, the 100th anniversary of the Battle of the Boar’s Head also known as ‘the day that Sussex died‘ and the centenary of the end of the First World War when the website was viewed thousands of times. Over the duration of the project our material has been used for school projects in the Netherlands and to inform discussions about First World War computer games. Our material and activities have been covered locally and nationally by radio, newspaper and television. People have used our newspapers to discover obituaries of their relatives. Through the publication of stories on our website we have put long-lost relatives in touch with each other. Below are testimonies from those that have engaged with and provided invaluable support to our project. The East Sussex First World War project has been a valuable regional partner to the Gateways to the First World War public engagement centre. We have enjoyed working with the project team on events and following the local stories that have been shared on the East Sussex FWW website and social media. The website has provided interesting, well-researched content presented in a very accessible way and is a great resource which we have recommended to local community project researchers. Dr Chris Kempshall, the East Sussex FWW Project Officer, has given talks at a number of our events in the region and his expert knowledge of the period and engaging presentation style have contributed to their success. The project has uncovered fascinating insights into wartime lives in East Sussex between 1914 and 1918 and has played an important role in the commemoration of the First World War centenary in the South East. It has been a privilege to be able to contribute towards this excellent project. 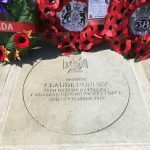 Not only does it underline the importance of commemorating the fallen, in a way in which they are no longer just names on a memorial, but it has opened a window giving us a glimpse into their lives and the lives of the people and communities of East Sussex at one of the most significant times in modern history. By giving the opportunity for the public to contribute, personal stories often known only to families, have also been shared and recorded. These stories paint a picture of heroism, tragedy, yet, determination and resilience. Stories which were perhaps forgotten or untold, will now provide an invaluable permanent resource in our County for future generations alongside the official histories of WW1. Congratulations and thanks to all those who masterminded and organised this WW1 project. The East Sussex in WWI project has not only been a fascinating resource for me as someone interested in Sussex Great War history, but as a professional, it’s really helped my organisation to create our own schemes about this period of time. This has been consistently with expert advice for the project manager Dr Chris Kempshall who has been an amazing and enthusiastic fount of knowledge. 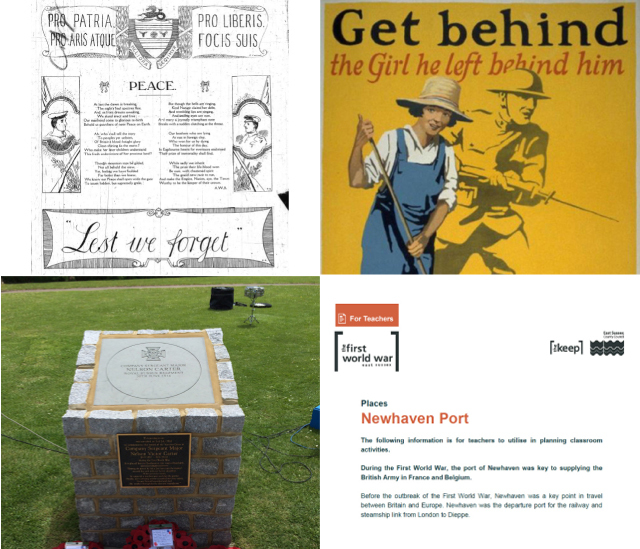 Key things that have helped us to deliver have been newly digitised local newspapers, new found photos, study resources, information on the contribution of Indian, African and Caribbean soldiers in the war as well as the role of women in service and on the home front. As a result of East Sussex in WWI, we’ve been able to find new resources and develop information found on the site for the enriching the following four projects with a First World War focus – The Orange Lilies: Brighton & Hove in the Somme, Trench Brothers (with HMDT Music), The Unremembered (with the Big Ideas Company) and Dr Blighty (with Nutkhut). Finally we most recently engaged with the project in September 2018 for advice on the Jewish Community in WWI in Sussex and have as a result submitted an application to the Heritage Lottery Fund. Since moving to The Keep, we have really enjoyed the opportunities of contributing to some outreach projects that the East Sussex WW1 project has been involved in such as the Brighton’s Graphic War group visit. With that project we worked with East Sussex Records Office colleagues and East Sussex WW1 to promote and share the local history resources held here. Also we’ve been able to share updates and details with our users from your newly digitised resources. Additionally other highlights have been the WW1 talks by the East Sussex WW1 Project Officer at The Keep. The three different talks were brilliant and really well attended. We were also very pleased to have the Project Officer as a speaker at this year’s Open Day, where the themes were the twin centenaries of the Armistice and female suffrage campaign. 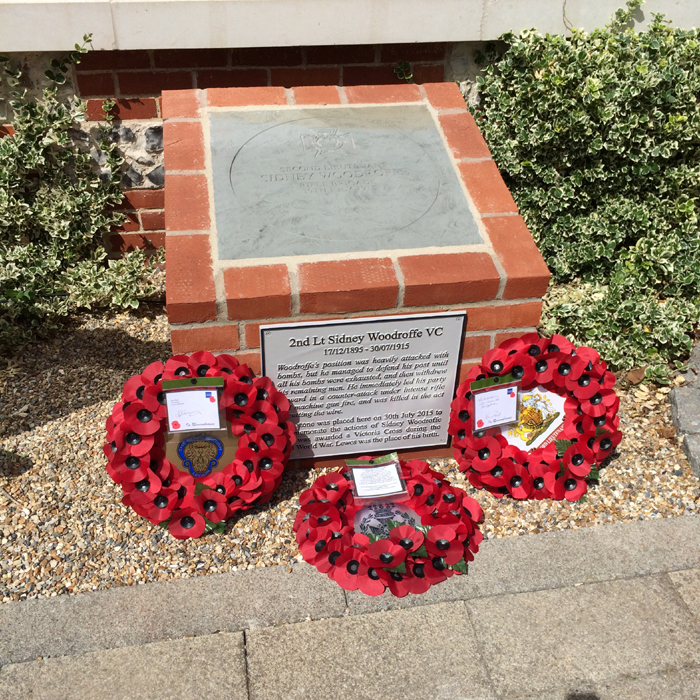 East Sussex WW1 – Four years of links and learnings. I’ve visited many Western Front CWG sites from Australia. Originally, I was on the lookout for the graves of comrades of my grandfather (48th Btn, AIF). But the experiences broadened my appreciation of the sacrifice of so many soldiers and support workers, including the many British regiments, Commonwealth forces, Germans and others. So, the tweets from East Sussex WW1 was one of those sources during these four centenary years that have helped deepen that understanding. I am very proud of my grandfather and in awe of his generation’s sacrifices. Thank you for your tweets! Jenny Gardiner, Australian Politician and Campaigner. The First World War East Sussex project has been an important project, compiling all the information about events, stories and newspapers into one place and has allowed many individuals and groups to discover what’s happening in East Sussex to commemorate 100 years since World War One. 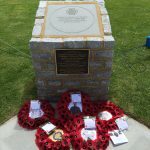 The First World War East Sussex project has also been fundamental to the delivery of the Recording Remembrance project, a sister project to record all the known war memorials in the County of East Sussex and City of Brighton and Hove. It has been a hub of information and resources which has been pleasure to be involved with and watch grow over the four years. With the conclusion of this project, the information contained within it is intended to be archived and remain accessible into the future. Over the past four years everyone associated with the project has felt that we have made a crucial contribution to the understanding of the First World War in our county and also nationally. We hope that everyone who has interacted with our website, read one of our articles, used our newspapers, viewed our posters or downloaded our educational resources has benefited from our efforts and been informed by the material we have collected and made available. On our part, the project would not have been such a success without the regular interactions with the public, with museums and historical societies, and with various historical experts. To all of you: thank you and goodbye.